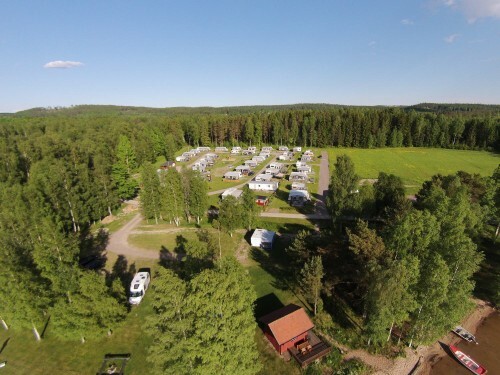 The camping is situated next to lake Jarnsjon. The lake has its own 300 m long sandy beach. The water is shallow for a long way out, making the temperature quite pleasant in summer. Furthermore, it makes the lake very suitable for little children. Near the beach is a playground and picnic tables. Our restaurant is close to the beach as well and has a beautiful view over the lake. 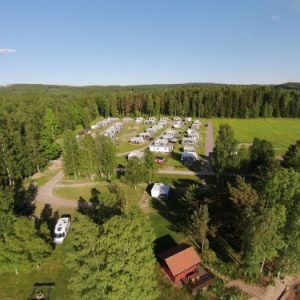 The camping ground has 40 permanent camp sites and 35 free sites for you to set up your tent, motorhome or caravan. 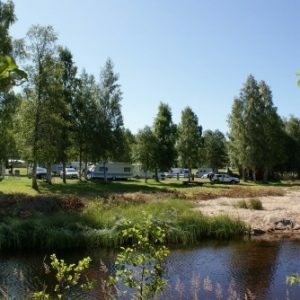 You can camp near the water or close to the woods; there is room enough for you to choose your own spot to stay, with or without access to electricity. 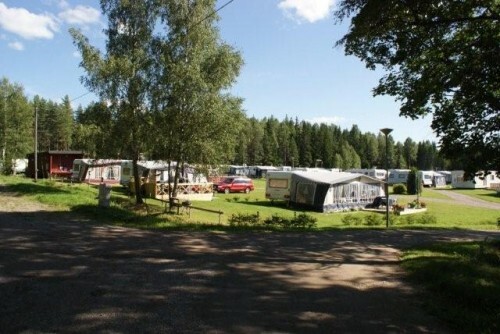 Sandaholm Camping offers sanitary facilities, a place to wash your dishes, to cook and to wash your clothes. 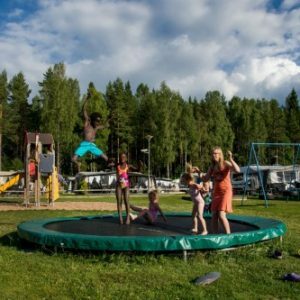 Right next to the lake there's a picnic table and a campfire where you can sit and share your holiday stories with other camping guests. At the lake you can fish, swim, canoe, surf, and paddle boat. 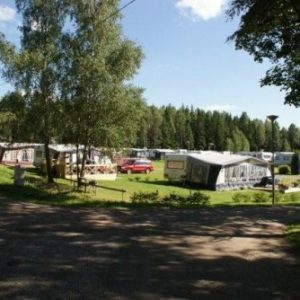 Straight from de camping ground you can go for nice walks or mountain biking in the woods. 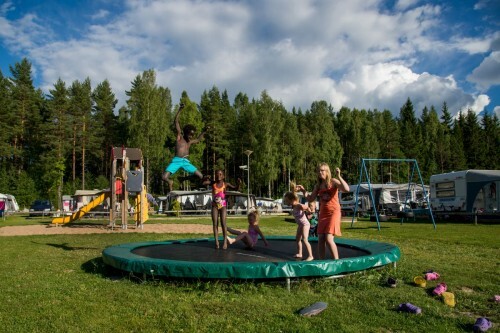 For children we have a little play ground and a football ground. 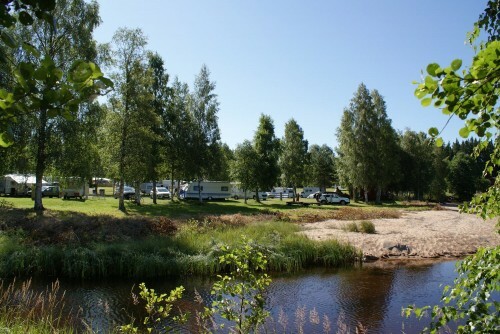 The campsite is open from April 1 till September 30. You find a supermarket within 5 km wich is open every day.